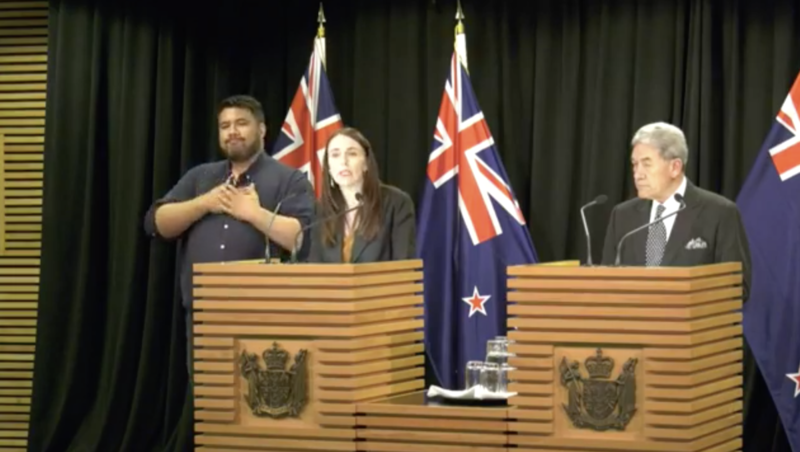 Prime Minister Jacinda Ardern at press conference after terrorist attack. NEW ZEALAND PRIME MINISTER Jacinda Ardern is being hailed as a hero for her fast action in restricting firearms in the wake of the Christchurch massacre. She and her government are banning what are commonly referred to as “military-style” semi-automatic rifles. And it’s happened almost instantaneously through a cabinet order. New Zealand, up to this point, has had gun-control laws that look to me as though they aren’t exactly robust. Their laws on requirements for a firearms possession licence and storage look a lot like ours. While certainly stricter than U.S. gun laws, New Zealand hasn’t previously banned semi-automatic rifles. Canada doesn’t, either — both countries have restrictions on the capacity of their magazines, though. The Americans have suffered repeated mass murders by zealots using legal semi-automatic weapons. Canada has experienced the tragedies of the Ecole Polytechnique, Dawson College and the Quebec City mosque. The U.S. remains mired in political inaction; here at home the Liberal government is taking some tentative steps with Bill C-71. The difference between our two countries and New Zealand is political will. Ardern might be late to the issue, but at least she’s doing something meaningful about it now, while Canada and the U.S. talk about it. And we’ll probably keep on talking when it happens again. Canada already has pretty robust gun laws. Guns are not allowed unless you gain that privilege by receiving a possession and acquisition license (PAL). To apply for this, you need to take a course on gun safety and submit your application to the RCMP. That application and each 5-year renewal asks a number of questions pertaining to your risk to commit crimes. Ticking the Yes box to any of these puts your application or renewal on to the desk of a Chief Firearms Officer for a personal evaluation. Those evaluations can take months, sometimes years. In addition, you must disclose any breakdown of relationship, bankruptcy, job loss etc. in the past two years. You also are asked to disclose your conjugal partners and/or get them to sign your application. There is a minimum 28 day waiting period after you send in your application and it typically takes 2-3 months if you didn’t check any boxes warranting further investigation. After you receive your license, you are checked every 24 hours against the police database for police interactions. Medical professionals can phone in any mental health concerns which will likely trigger an investigation and potential confiscation of firearms from the owner. In fact, anyone can call the RCMP line and state concerns about an individual and if that person has their PAL, the police may investigate and confiscate their firearms. Hand guns and some semi-auto rifles are a separate, restricted class that requires an extra course. In BC and most other provinces, you need to keep and maintain a membership at a shooting range to maintain your restricted license. Moving a restricted firearm from any location that is not a reasonably direct route to a shooting range in your province; the border to leave the country or a gun smith is a violation of the law and can land you in jail. Restricted firearms are meant to go to the range and back to your house where they are locked up. They also have trigger locks on them when not in use and must be in a separate locked container during transport. To take your restricted firearm anywhere else requires authorisation from the RCMP with a temporary “Authorisation to Transport”. I write this lengthy description of Canada’s laws because I have found that most people I have talked to that are arguing for tighter gun control, have no idea how tight our current control actually is. Canada has over 2 million people licensed to own firearms and over 600,000 that are licensed to own restricted firearms. They are owned for two purposes, hunting and sport, primarily various forms of target shooting. I should also mention that all restricted firearms are in a database. Thus, the RCMP knows every time you acquire another one. The argument that people are buying hand guns and selling them to gang members and other criminals to use in crimes is ridiculous. When they get arrested or the gun is linked to a crime, it would immediately be linked to the registered buyer. Who would risk that? Bottom line is that there are millions of law abiding, peaceful firearms owners in this country that use their possessions for sport. Increasing already stringent regulations only serves to hinder the lives of those that are following the law and does practically nothing to prevent crime that is taking place by criminals using illegally obtained guns. I hope if you or anyone else advocating tighter gun control in Canada is fully aware of the current regulations. Hopefully you have also spoken to shooters and even tried it your self. It’s a deplorable practice to shame and persecute a group that you know nothing about. The form is called RCMP GRC 5592e and can be found on the RCMP site. Here are the questions. – Charged, convicted or granted a discharge for an offense under the Criminal Code or the Youth Criminal Justice Act where violence was used, threatened or attempted;involved the misuses, possession or storage of a firearm or involved trafficking or importing drugs or controlled substances. – Had a peace bond, protection order or an order under section 810 of the Criminal Code. – Have or had a member of your household prohibited from possessing a firearm. – Have threatened or attempted suicide, or suffered from or been treated for depression; alcohol or drug substance abuse; behavioural problems; or emotional problems. – Been reported to the police or social services for violence, threatened or attempted violence or other conflict in your home or elsewhere. – In the past two years, experienced a divorce, breakdown of a significant relationship, job loss or bankruptcy. Ever since Cain & Abel, murder has been a part of human existence. One would have thought through evolution, our species would have learned something by now. Removing semi-automatic assault firearms from the hands of people who intend to murder others is a good move. Knives are also an instrument of death as are vehicles that are driven recklessly. The common denominator seems to be the heart of mankind. Change a person’s heart and you’ve changed the person. True. If we haven’t the political will to ban plastic bags, how can we ban semi-automatic guns?